New Delhi: Protests are still on against the Supreme Court’s order to allow women inside the sanctum sanctorum of Kerala’s Sabarimala Temple, but similar restrictions at other places of worship are already being challenged. 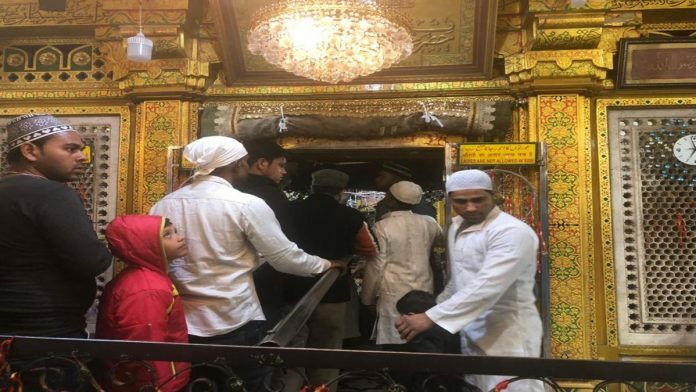 A new petition in the Delhi High Court has sought the entry of women into the sanctum sanctorum of the Hazrat Nizamuddin Auliya Dargah in Delhi. Filed by three women law students, the plea takes exception to a notice pasted on the premises that bars women from the main shrine of the renowned dargah, otherwise known for its unique character of embracement and transcendence across religious and caste lines. 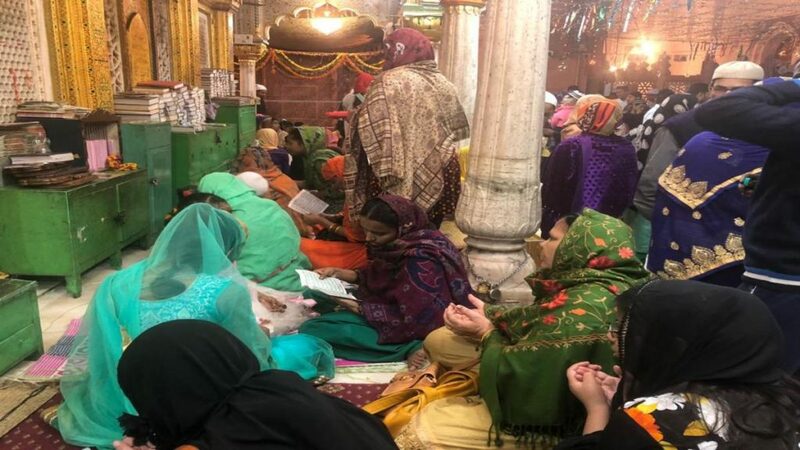 While men and transgenders are allowed inside the south Delhi shrine, women have to pray, kneel and kiss the wall behind the grave of the Sufi saint. The students first made a representation to the government as well as the Nizamuddin dargah trust in late November. When it was not responded to, they moved the Delhi High Court. The petition will be heard in the court Monday. The 45-page petition cites a 2016 report by ThePrint, according to which women are not allowed to enter the sanctum sanctorum of the dargah, where Hazrat Nizamuddin Auliya rests, because it is believed the dead can see women naked if they go too close. In 2016, when protests seeking the entry of women in the sanctum of the Shani Shingnapur temple at Ahmednagar, Maharashtra, and Mumbai’s Haji Ali Dargah were at their peak, Syed Kalim Nizami, who belongs to Nizamuddin Auliya’s lineage and is among those who manage the shrine, had told ThePrint that women were also barred from visiting graves for the same reason. Moreover, since this has been the tradition at the dargah for 700 years, it must be preserved, he had said. Quoting from the report, the petition says: “When it comes to religion, logic has never been a strong point. But this is far-fetched even by religious standards. The argument made by Nizami was countered by Alhaj Syed Nayeemuddin Niazi, a khadim at the Ajmer Sharif Dargah, where there are no restrictions on women. Niazi had said the argument was not present in Islamic scripture. “Throughout their lifetimes, they (Sufi saints) used to interact with women and heal them. Why can they not do so after death?” he asked. Zakia Soman, the founder of the Bharatiya Muslim Mahila Aandolan, who had moved the Bombay High Court to seek the entry of women inside the iconic Haji Ali Dargah, agreed. “There are so many lesser-known dargahs where women go right up to the sanctum sanctorum, but the famous dargahs also have powerful trusts, so they get away with their retrograde and patriarchal diktats, which have no grounding in Islam,” she added. In 2016, the Bombay High Court had ruled in favour of women’s entry into the sanctum sanctorum of Haji Ali Dargah, which was allowed earlier before being arbitrarily ended in 2012. A similar verdict by the same court had led to women being allowed into the sanctum sanctorum of the Shani Shingnapur temple too. “Since a similar judgment already exists, the Delhi High Court can easily rule in favour of women,” Soman said. The citadel has been breached, it is just a matter of time before the few remaining restrictions fall away. Next, although this is a matter of personal choice, should be the burqa. A modest head scarf should suffice for the more conservative.